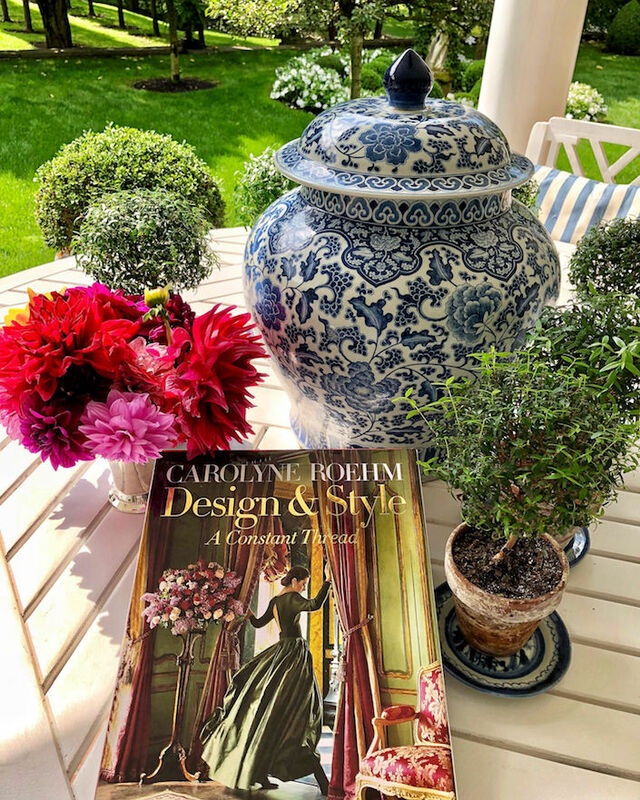 From her small town childhood in Missouri to her formative years at Oscar de la Renta, through the high flying “roaring 80’s” in New York City and beyond, the book takes us through the admirable staying power and evolution of Carolyne’s many talents. So thank you Carolyne, you have been and continue to be an incredible wellspring of artistry and inspiration! Here’s to your next creative incarnation! 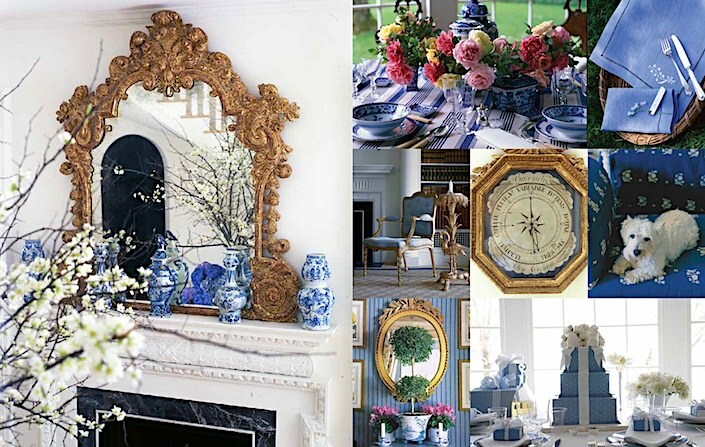 This entry posted in At Home with, books, design, fashion, garden, interior design, jewelry, photography, Quintessence video series, Stylish Shopping, video. 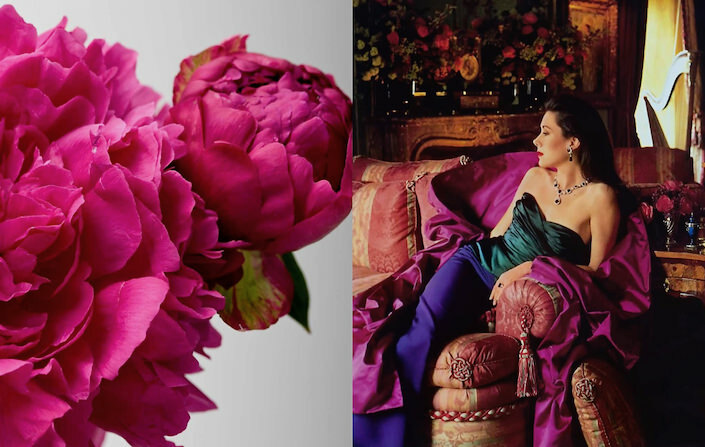 Entry Tags: Carolyne Roehm, Design Books, fashion, Flowers, Gardens, interior design, Video, Weatherstone Bookmark the permalink. Delightful. The closing moments, with Carolyne’s magnificent silk ball gown billowing in a fairy-tale garden, were magical. Best wishes. Absolutely incredible, Carolyne!! Such style, such class, such grace. I once commented to a blog post, and she REPLIED to me. I about fell off my chair. I am so in awe of her talents!! Here I am in deep Umbria. Thank you both. I’m back for another VIEWING!!!!!!!!!! I want her BANGLES THIS MORNING!!!!!!!!!!! THANK YOU SO MUCH these VIDEOS are SO FUN for us !To Hear HER voice as well is such a Thrill for me!It’s the Little things that make us SMILE! Bangles. Me, too. All 75 of them. Dresses, Homes, Gardens, Parties, Food, Books and buying Antiques. Charolyne makes The World more Beautiful. A True STYLE Maker ! Awesome as always! Loved when she was talking about the 80s. I’ll never forget her first big fashion show; everyone, and I mean everyone … Pat Buckley, Nan Kempner, Chessie Raynor, the list goes on … was front row center. Fabulous. Congratulations on this beautiful new creation. Everything sings with colour, passion and love. She is beautiful inside and out, a tru renaissance woman. That is the definition of elegance. I wish she had her own show, we could all learn so much and it would be a feast for the eyes. Thank you for this video. They still call them lochrosen…. Adore all of your books. Beautifully illustrated and very creative. Many have tried to copy but they can’t capture your magic. 86 queries in 0.813 seconds.